Here you can submit us requests, what server you would like to have! 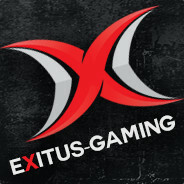 eXitus-Gaming.com | We are eXitus! It's been almost 5 months since I can no longer communicate in the chat and vocal channel and I would like to get a little bit of my voice back on the server because I really miss communicating with the players and after so much time and I promise not to make the same mistake as before.